Are you writing your own vows? Or are you looking for a thoughtful, unique engagement gift for your bestie? 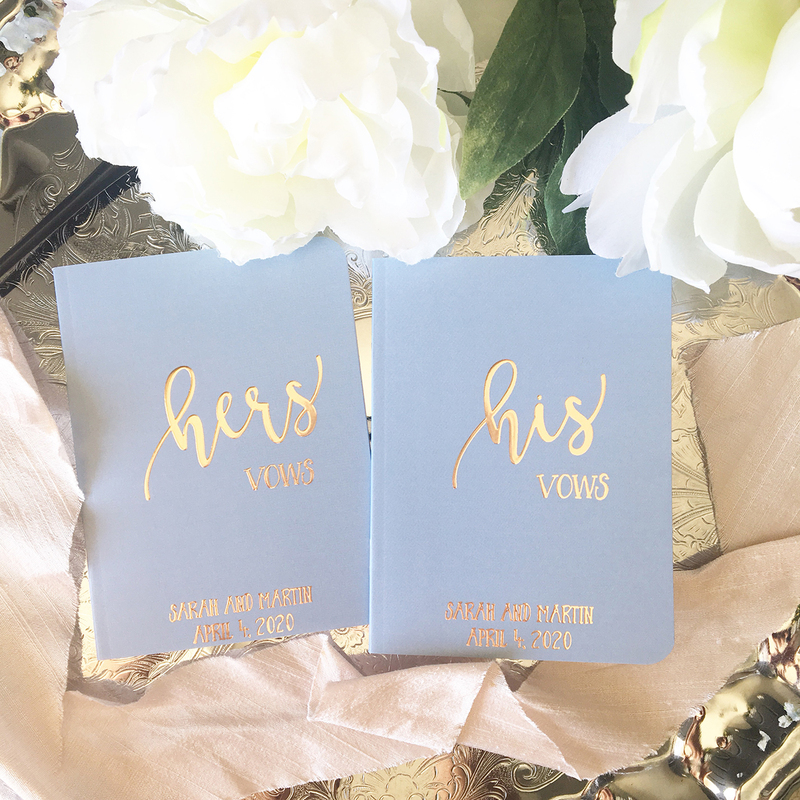 If so, these vow wedding booklets are the sweetest keepsake! 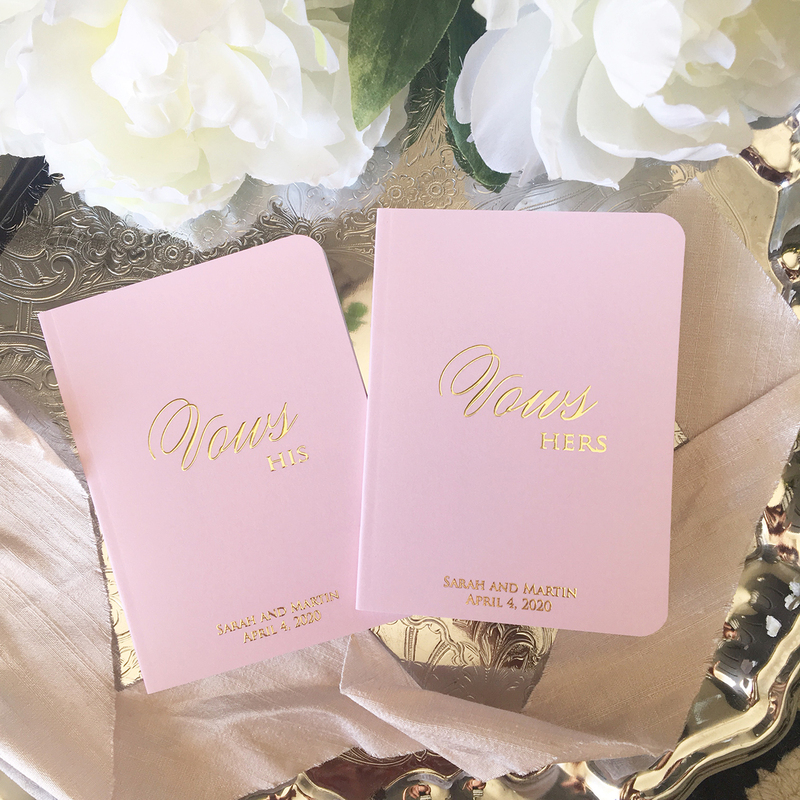 So many times vows are lovingly, thoughtfully written on just a simple piece of paper. Which is absolutely fine! 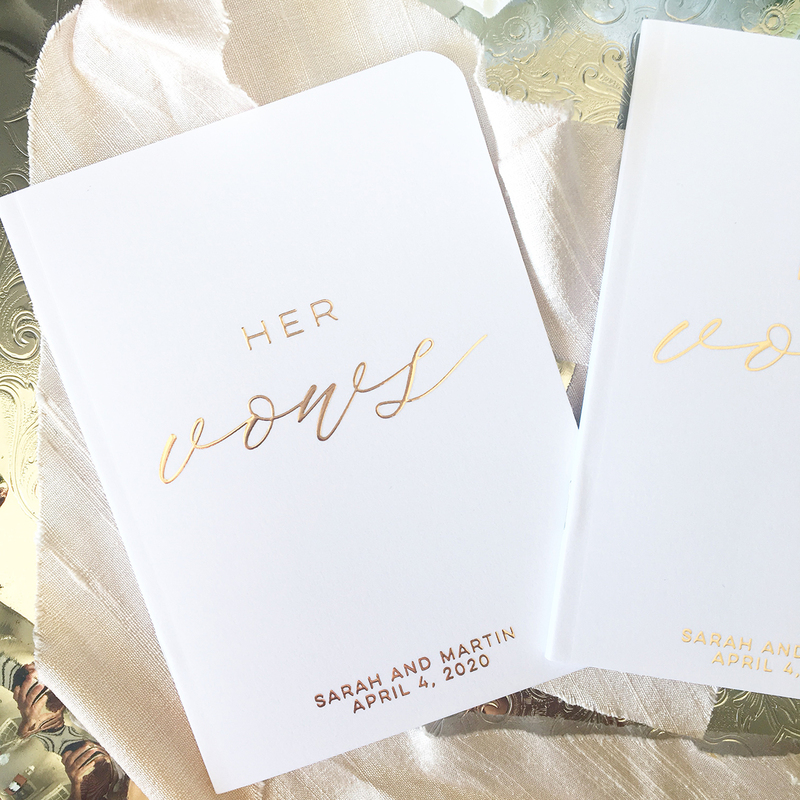 BUT... if you are writing your own vows or your friend or daughter or soon to be daughter in law is... then these booklets are the sweetest gift and they make such a lovely way to present your vows. 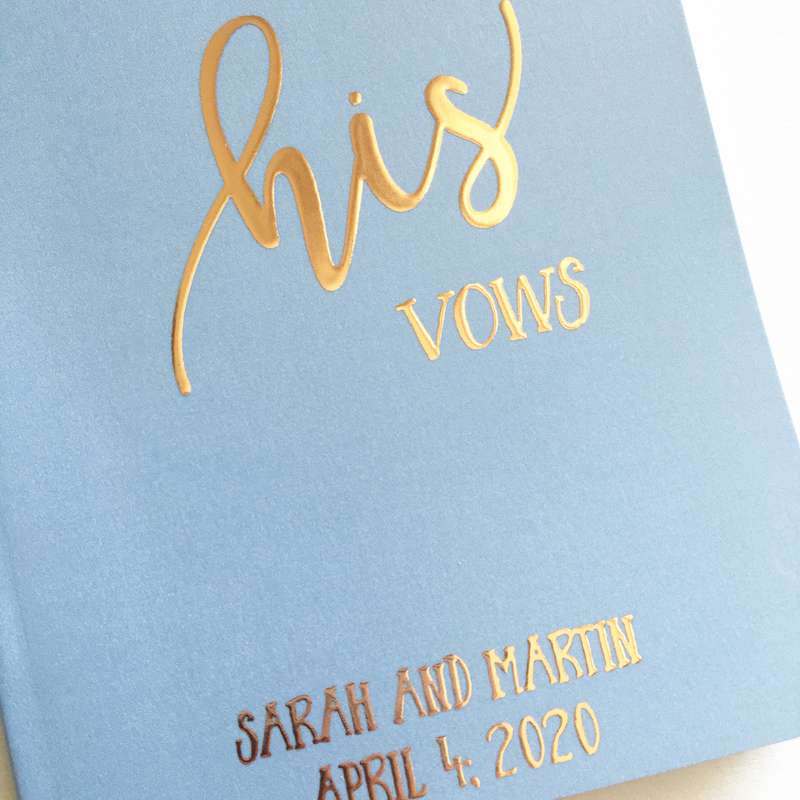 You can customize the cover color and the foil comes in silver, gold or rose gold. The pages in the book are also lined which I love. These are available in our etsy store.